The John F. Kennedy Space Center (KSC) is one of ten National Aeronautics and Space Administration field centers. 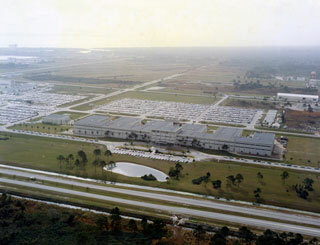 Since December 1968, Kennedy Space Center has been NASA's primary launch center of human spaceflight. Launch operations for the Apollo, Skylab and Space Shuttle programs were carried out from Kennedy Space Center Launch Complex 39 and managed by KSC. This article uses material from the Wikipedia article "Kennedy Space Center", which is released under the Creative Commons Attribution-Share-Alike 3.0 License.